Posted on January 3, 2019 Categories ArticlesLeave a comment on The Ultimate Salt Smackdown! Ever wonder about the differences between the many varieties of salts? There’s table salt, kosher salt, sea salt, Himalayan Pink, Cyprus Black Lava… it can feel like the options are endless. All the salts out there can be confusing, but here’s a sweet secret: as far as chemical composition goes, all salts are virtually identical. Scientifically, salt is always sodium chloride, or NaCl. Although different varieties of salt may also include additives or trace amounts of minerals, the chemical makeup of salt is always the same. For culinary purposes, though, it’s the size and shape of salt that can make the difference in a dish. What It Is: The most commonly-used salt, table salt is the finely-processed salt you’ll find in salt shakers. Pros: Easily measurable, consistently-sized, and the most common. Cons: Table salt is the most processed salt, and contains additives. Some say the flavor is not as pure as other salts, especially if iodine is added. Also, due to the ultra-fine crystals, there is a higher chance of accidentally oversalting your food. Best for: Baking. Also works great in soups and stews. Additives: Yes. To prevent clumping, anticaking agents are added (examples are sodium aluminosilicate or magnesium carbonate). Also, iodine — an essential mineral that many people do not get sufficient amounts of in their daily diet — is often added for nutritional purposes. Measurement Details: Because of the tiny, finely-packed crystals, one teaspoon of table salt does not equal one teaspoon of other salts; table salt can actually be as twice as dense as other salt varieties — that means if you use kosher salt instead of table salt, you may need twice as much in a recipe! Always be cautious before making any salt substitutions. 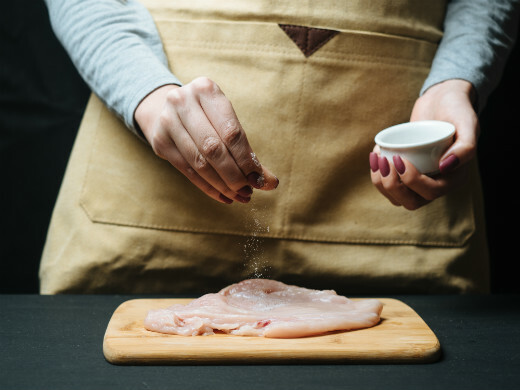 What It Is: With its large, irregular surface area, kosher salt has been used historically in the kashering process to draw blood out of meat (hence, the name “kosher” salt). Pros: Kosher salt is a favorite of chefs. Since the coarse granules are easy to sprinkle and large enough to see, kosher salt gives you greater control over seasoning. And since there is no added iodine, kosher salt has a completely pure flavor. It also has a crunchy mouthfeel, which works well as a finishing salt. Cons: Doesn’t dissolve as easily as table salt, and can give an uneven, sporadic saltiness to foods, especially baked goods. Best for: Brining, curing, pickling, as a finishing salt, and any time you need a controlled sprinkle of salt. Measurement Details: Kosher salt comes in different shapes, which can affect the way it measures out. Diamond Crystal, the preferred brand of chefs, has a pyramidal structure, while the granules in Morton are flatter. Measure salts by weight (instead of volume) to get the most consistent result. Always be cautious before making any salt substitutions. What It Is: An unprocessed, coarse salt that is collected from evaporated sea water. Pros: The craggy granules lend a salty and surprising flavor explosion to foods (think: sea salt caramels). Because of its natural source, sea salt contains trace minerals that may add a unique flavor to foods depending on where it has been harvested from. Cons: Not the best for baking or in any recipe which requires a consistently salty flavor throughout. Best for: Use in a salt grinder, and as a finishing salt to add a final burst of flavor to foods such as meats, fish, vegetables, and desserts. Additives: No. However, specialty sea salts can be smoked, flavored, and colored with added ingredients. Measurement Details: Sea salt comes in many grain sizes (from powder-fine to extra-coarse), each size useful for a different application. Always be cautious before making any salt substitutions. For those leftovers that you quickly have to get rid of, Kosher.com has recipes you can use to turn them into a fresh, delicious dish. Posted on January 3, 2019 Categories ArticlesLeave a comment on Bimbo Bakery- What’s Really Going On? At 21, Avi Katz can do much more than flip omelets. When I think of a successful chef, a few images come to mind. I picture a crisp, white chef’s hat worn by a middle-aged man, matched with an equally ironed out white apron. Pair that with shocking amounts of coffee, lots of late nights, and of course some unhealthy habits that I associate with the life of a restaurant chef. Well, imagine my surprise that the guy flipping my onion omelet at the David Citadel Hotel in Jerusalem is only 21 and cooking for 18 years? Yep, he’s been cooking since he was 3 and actually had his own catering business at 12 specializing in exotic soups. With his smart chef’s uniform, he looks every bit the chef you would expect at a 5-Star hotel. From the moment I met Avi, my chef standards changed. No more do I associate quality food and impeccable plating with older chefs. Instead, I have come to the realization that the millennial generation has changed today’s restaurant standards. With social media being the prominent source for culinary ideas, they have really taken food to the next level, and it’s hard to compete. Flashback two years earlier, Avi was the winner of the first-ever Kosher Masters Competition at Kosherfest, hosted by Joy of Kosher’s Jamie Geller. With hundreds of onlookers and thousands watching via livestream, Avi tackled a mystery box to create: Herb-Pistachio Crusted Rack of Lamb with Ribboned Vegetables Rendered in Beef Bone Marrow, and Kielbasa Sausages with Orange Gastrique. I was really out of breath when he went through the ingredients and more so when I tasted his dishes. Now a master in his own homemade Facon sausages and handmade dried beef jerkies, Avi explained that even simple chicken has to be massaged and treated, much like a human is treated in an expensive sauna. 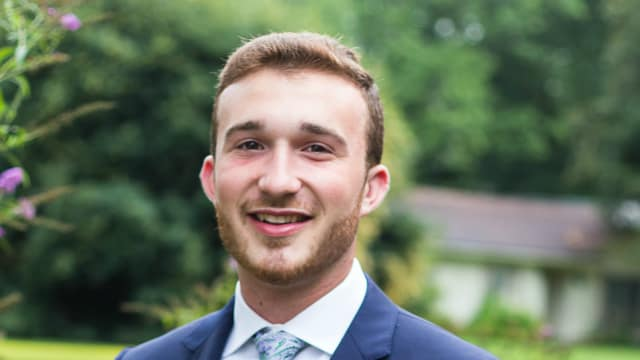 Quite a resume for a yeshiva boy who hails from Memphis, learned in Miami, went to Lev Hatorah in Israel and in between worked in Pesach programs and even as a sous chef for the Achva West travel program. Here and there he was hired to be a private chef and even got to do a few high-end anniversary dinners. Mentors? Sure, Shelly Ostrow, the well-known chef from Holy Cow in Memphis. No wonder investors are banging down his door to open a restaurant. But he and his wife are in no hurry. So what’s next? In the meantime, the Katzes are truly happy in Jerusalem but don’t be surprised if this rising up-and-comer turns up somewhere near you. Have you ever come across a mom gliding happily across the supermarket aisles with her brilliantly behaved kids? This supermom might have a baby in a kangaroo wrap, another in the front seat of the shopping cart, and possibly a third (and very quiet) toddler sitting in the cart itself, surrounded by piles of canned goods. I have seen moms like that. And if you’re one of them you can stop reading this. Like right now. You will learn nothing here. But if you are not like that supermom, and you experience a mild panic attack at the thought of towing your kids along with you to the grocery store, check out the ideas below. Some of them might just make shopping with your kids a less hazardous activity than you expect. Or better yet, make two.To avoid thoughtless purchases and impulse buys (much more likely when you’re busy making sure your toddler doesn’t bolt), make a thorough list of what you need before you leave. And for your child, check out these cutesy tootsy grocery list printables that feature photos of common food items you might need. Hand your kid a pencil and one of these printables. Best case: he’ll be so busy on this supermarket scavenger hunt, he’ll forget how badly he needs that “breakfast cereal” — I mean, those tiny cookies that are disguised as breakfast cereal. Feed your kids. And yourself. Eating before shopping is a must. It will head off crankiness (for kids and adults), impede the over-purchasing of food you actually don’t need, and prevent impulse purchases of stuff that isn’t even food! Yup. One study found that hungry shoppers actually bought more binder clips than non-hungry shoppers (binder clips! really!). Apparently, our mind translates those dratted “I am hungry” signals into “gimme gimme gimme!”. And yes, this also goes for kids and adults. Bring along baggies of snacks that can keep hunger at bay, and keep little fingers occupied. Worst snacks: Anything especially greasy, sticky, or that has a very likely possibility of spillage. Best snacks: Finger foods that take time and/or fine motor skills to eat. The busier you can keep those pudgy hands, the easier the shopping trip will be. The last thing you want when shopping with kids is to be met with disapproving looks from strangers after your kid steers the shopping cart straight into that teetering stack of yogurts. And waiting in a long line after an exhausting shopping trip is not going to be pleasant. For kosher grocery shopping, the worst times are Thursday, Friday, and before any yom tov. For the large supermarkets, you’ll want to bypass the weekends altogether, as well as those after-work rush hours (usually from 4-6 pm). As a general rule, any early weekday hours will have the least crowds. Plus, if you have little kids, shopping in the morning hours that precede naptime will be your best chance of having a smooth trip. Get in touch with your inner teacher! 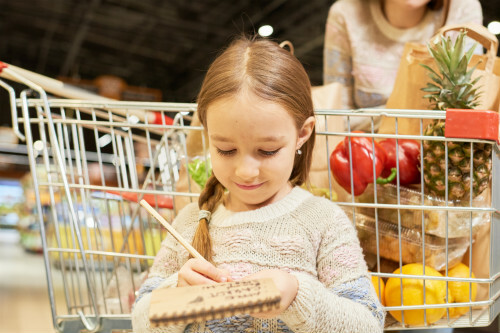 The grocery store is packed with potential educational experiences that can actually be fun. Give these games a try: Supermarket I Spy, ABC or Color Hunts, guessing produce weights and learning to use the scale, reading food labels and store signs. And if all else fails, get a babysitter. There was a lot more in the presentation by Yarden Horwitz, a former trendspotting expert at Google and co-founder of SPATE. Speaking at the opening session of Kosherfest on Tuesday November 13th, Ms. Horwitz revealed that Google searches before Pesach are through the roof. But growth by 13.5% between August 2017 and August 2018? Wow! And that’s not all. We are searching for all the kosher versions of the latest trends. We are into Keto foods which are high carbohydrate – low protein foods that are now available in many categories including snacks and even pizza. There has been a 98% growth in Keto snacks. 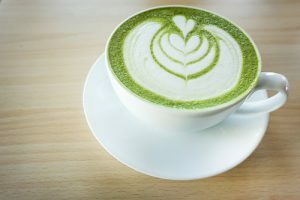 Kosher consumers appear to be searching for the “superfoods” and “food makeovers.” One makeover category is the fascination with “bowl foods” including ACU, Poke, Playa, Buddha, and even egg rolls. So, the news that we use the internet to enhance our kosher way of life is out. It is no wonder that sites like kosher.com are doing so well. It has done wonders for kashrus. The ability to search for an item and to determine the identity of the certification agency or rabbi is a gamechanger. Most of the kashrus agencies nowadays have apps that allow us to instantly search for a product. I have seen women consult the apps while shopping in a supermarket. Remember the old days, when you either had to consult with your local rabbi or call a hotline to ask your question, sometimes taking days. It got even more complicated before Pesach when you are in the kitchen and need instant answers. “Rabbi Google” to the rescue! In many cases, even if you have a more complicated question on kashrus, you might find the answer with a Google search. At least you might find out which rabbi says what. Technology is definitely playing a big role in kashrus education, but according to Ms. Horwitz, people from all walks of life are searching for kosher food products, recipes, eateries, caterers, travel and much more. And not just Jews. A non-Jewish acquaintance told me that she searches for kosher Chanukah gifts for colleagues on-line. The world of kosher has become so vast that it has spilled over to the internet. Ms. Horwitz’s work as a trendspotter is an enormous asset to the kosher food industry. Manufacturers can produce the products that kosher consumers want. Retailers can stock the items that are “hot” and perhaps use merchandising to flag their being up-to-date with products that are “in.” It can even be beneficial to restaurants and caterers who can plan menus accordingly. Anyone for kosher gnocchi? Had it three times in the last two weeks at simchas. According to Yarden, there is a flip side. Remember when Kale was the hottest trend in foods? Apparently, it is not so hot anymore. This means that trendspotting can equally predict foods that are on the decline and perhaps have trended and are out. It shouldn’t be a surprise that the popularity of foods is also on a cycle with some lasting longer than others. Nor should it be a surprise that in kosher as well, there are ups and downs. Finally, what you learn from a trendspotter like Yarden Horwitz is that one size does not fit all. The Millennials have brought back many foods that were considered passé. Even herring had a resurgence that only 20 years ago seemed on the decline. Today, herring is a category with many applications that go well beyond the schmaltz. Or take cholent and kugel that has emerged as kind of “superfood” in kosher that goes well beyond being the traditional hot food on Shabbos. Imagine Googling for the best cholent in a given neighborhood. You might say that Google has by far replaced the “word of mouth” that was the customary way of transmitting information on your favorite kosher food. If Ms. Horwitz has her way, we will be able to predict what new kosher foods you will enjoy and which foods you no longer care for. Wow, that’s progress! Is Food Shopping Coming Back? Posted on December 10, 2018 Categories ArticlesLeave a comment on Is Food Shopping Coming Back? “Food shopping” is quite different from “food buying.” Kosher retailers say that they are seeing more “shoppers” in their stores these days. You are probably familiar with the profile of the food “buyer.” He or she is usually extremely pressed for time, may have a specific list of items on a paper or perhaps on their phone, and is pretty much oblivious to any foods that seems out of the ordinary, such as a new and different item. Shopping for many of them is rote such as people who shop on Thursdays for Shabbos and pretty much buy the very same items every week. Compare this person with the “shopper,” slowly making her way through the aisles, eyeing every item that seems “interesting,” picking up the package and reading the ingredients or other interesting facts, and most importantly willing to take home a product that was never tried at home. The retailers say that with few exceptions the shopper had no real idea what would end up in their cart. The food buyer most often covets “one-stop” shopping, having neither the patience nor the time to visit multiple stores. 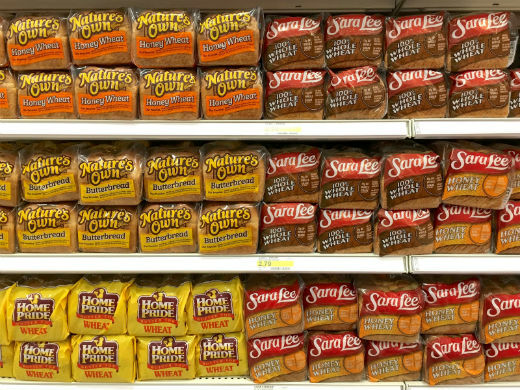 The food buyer might have preferences for certain stores like perhaps a bakery or take-out store. They like familiarity so that they walk right up to the shelf and pick up the items that they are looking for. The shopper, on the other hand, makes it a point to walk an entire store and even to check out other stores such as another kosher supermarket or even a specialty store or discounter that may have an interesting item or two. That’s right, even checking out Costco for that unique product. You can walk through the parking lot of Pomegranate in Flatbush on a Sunday and notice many out-of-state license plates. Store officials say that some of these people who often come from other states spend many hours just walking the store. Clearly, the shopper is more relaxed and viewing shopping as part of an experience. Sure, it’s no different than shopping for clothes in a department store. The buyer is there for a skirt, suit or an evening dress for an upcoming event. The shopper is interested in whatever she encounters trekking through the aisles. The kosher food shopper is a growing trend, say the retailers, often shopping on what is a slow day at a supermarket like a Monday or Tuesday. Howie Klagsbrun of Gourmet Glatt with stores in Cedarhurst, Woodmere, Lakewood and Boro Park feels that the “shopping environment” has changed. He says that the majority of his customers come to his large stores without a list. “There is a great deal of socializing which we encourage, even offering free coffee.” Frequently, customers interact with other customers recommending certain products, he says. Surprisingly he and other retailers say that the shopping experience is what is driving their steadily increasing sales over the internet where leisurely perusing is part of the experience. The retailers estimate that 70% of their customers would be considered buyers as opposed to 30% as shoppers with the latter category growing steadily. While Malkie Levine of Evergreen with stores in Monsey and Lakewood agrees that she sees many more shoppers, she attributes a great deal of it to “impulse buying,” customers who simply pick up an item because it is interesting or new. “Much of it has to do with a much better economy in the frum world and the resulting increased disposable income.” She says people are buying more and even willing to spend for a new upscale item.” As an example, she cited Gefen’s new cooking butter which impulse buyers are picking up. Mr. Klagsbrun differentiates between moms at home and working mothers. He sees many young mothers who simply spend time in the store with their toddlers in tow. He and Mrs. Levine say many of their customers shop on-line but supplement the “actual buying” with the shopping experience of actually walking the store, not to speak of the fact that many shoppers will not buy “fresh” items like fish, meat and produce on-line. Mrs. Levine says that working moms are typically “impulse shoppers” with more income. She says: “They will walk into the store and figure out what they can feed their hungry family and pick up some interesting items even if it is more expensive.” On the other hand, say the retailers, some of the younger moms are frequently on a tight budget and are very frugal in their buying of food. Mrs. Levine seemed to have another way of categorizing shoppers: “Impulse Shoppers vs. Leisure Shoppers.” Irrespective, it appears that retailers are more conscious these days of the many types of customers. They want to make sure that they are prepared and stocked for all shoppers. They fully understand that the dynamics of shopping has dramatically changed. The large upscale kosher stores have become a destination, hence the social experience. They recognize the impact of technology and the new opportunities for sharing in real time. There is a recognition for the home chef who relies heavily on new recipes in magazines or on such sites as Kosher.com. Retailers are also fully aware of the changed demographics and the resultant buying habits. There are the younger set with more disposable income than ever. There are the very large families with a need for economizing but still interested in new quality items. Finally, there is the traditional shopper who seems to never change, always buying the traditional foods. If you are the perennial buyer, you owe it to yourself to find some time to be a shopper. You just may very well enjoy the experience! The purveyors who have scouted out many new and interesting items are looking for you. Leftover wine is never usually a huge issue (there is NO such thing as too much wine), but sometimes when you don’t have a use for that half-empty bottle that wasn’t good to begin with…. a sticky wine jam is the answer. Spread this homemade delicacy on just about anything, (it’s totally addictive!) and package it into the perfectly unique hostess gift. The signature of an excellent cookbook is that it tells a story. With the profusion of easily accessible online recipes, we’re always on the lookout for cookbooks that offer the reader more than just a list of recipes — when we turn the pages we want to learn something new, to hear the voice of the chef, to feel a part of her story. 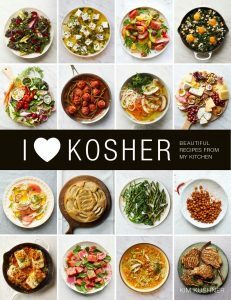 Kim Kushner’s latest cookbook, I Heart Kosher: Beautiful Recipes from My Kitchen (available January 2019), tells a delectable story, with themes of family, entertaining, and inspired cooking. A graduate of Manhattan’s Institute of Culinary Education, Kim has worked as a recipe developer for Food & Wine and Chile Pepper magazines and as a private chef. Currently, Kim teaches cooking classes — some of which are based in her home kitchen. Kim’s cooking classes are varied and cover topics such as: Essentials in the Kitchen, Make-Ahead Classes, and Kosher Family Gatherings. Though her immensely popular classes have been sold out for years, reading I Heart Kosher feels much like you have stepped into a cooking demo in Kim’s kitchen. Kim’s voice throughout the beautiful pages of I Heart Kosher is personal and confiding. The stunning photography by Kate Sears (whose work has appeared in magazines like Better Homes and Gardens, Everyday with Rachael Ray, and Martha Stewart Living) introduces us to Kim in what seem to be her happiest environments — casually clothed and cooking in her all-white kitchen, entertaining friends and family outdoors, refilling guests’ wine glasses. With its bold and colorful photos, practical prep tips, and a unique point of view, this cookbook may be more than the sum of its recipes … but WOW are the recipes fantastic. Kim’s first cookbooks, The Modern Menu (2013) and The New Kosher (2015) aimed to meld the traditional and the new — to show the world that kosher cooking and modern cooking are not mutually exclusive. Now, however, the culinary world has recognized that kosher has caught up with the times. Every recipe is I Heart Kosher is, of course, kosher, but that is almost an afterthought. 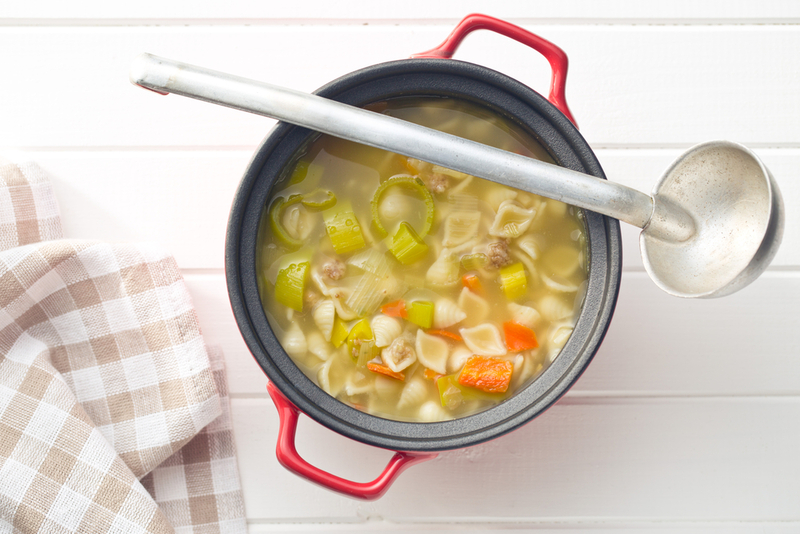 The quality, ease, and delightful flavors of these recipes are what take center stage. Kim, who was raised Modern Orthodox in Montreal, Canada, credits her early cooking style to her mother, who was born in Morocco and raised in Israel. She visited Israel every summer as a child, and the eclectic blend of flavors and ingredients in her recipes reflects a delicious melding of cultures. Many of her recipes feature an unmistakable Middle-Eastern, particularly Moroccan vibe, with a penchant for fruits like dates, pomegranates, and figs (CHOCOLATE-DIPPED FIGS WITH PISTACHIOS & ROSE PETALS); spices such as turmeric, cumin, za’atar (CHOPPED KALE, AVOCADO & ZA’ATAR); classic Moroccan recipes like beef and lamb kebabs and hamin (KEFTA BEEF & LAMB KABOBS WITH TAHINI); and unique flavors including rose petals and fried lemons, the latter, Kim tells us, lends a “rich,smooth, malty-lemony flavor” to a variety of dishes (CRISPY CHICKEN WITH RICE, SWEET POTATOES & LEMON SLICES). An especially unique aspect of I Heart Kosher is the attention paid to the details of organization and preparation. The book includes illustrated lists of kitchen tool essentials, fridge and freezer essentials, spice shelf must-haves, and pantry must-haves. Kim’s philosophy relies on always being prepared — with ingredients, ready-to-go recipes, and easy prep hints. I Heart Kosher is kosher not only in the sense of adhering to the kosher guidelines, but also because the recipes are perfectly suited for the Jewish household. With recipes for one-pan meals (ROASTED SALMON TOPPED WITH SQUASH AND ZUCCHINI CRUNCHIES), gorgeous dishes for Shabbat and holidays (PULLED LAMB SHOULDER WITH RED ONIONS, PARSLEY & POMEGRANATE), and easy yet impressive snacks for a crowd (WALNUT & ROSEMARY SAVORY BISCOTTI), this well-curated collection of recipes offers delicious possibilities for every occasion.